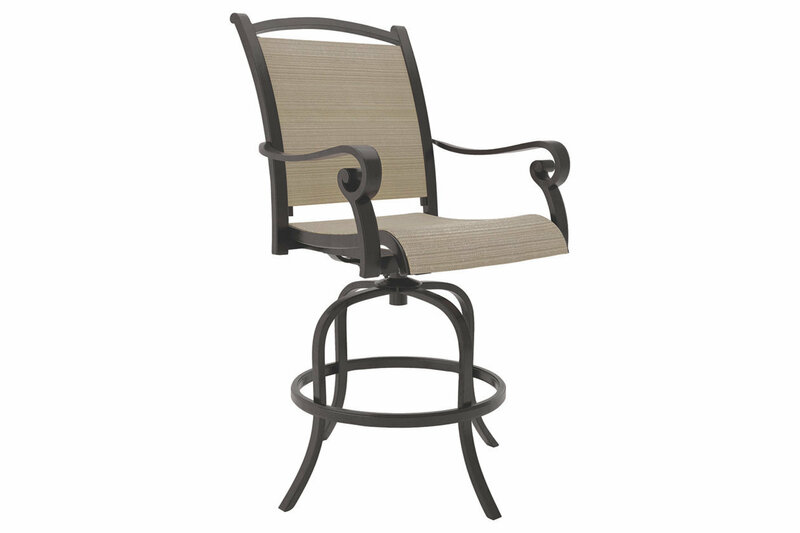 Whether decking out your deck or patio or making a splash by the pool, the Bass swivel bar stool is all about easy-breezy outdoor living. Its neutral-tone sling fabric is comfortable to the touch and quick drying. Powdercoated for added durability, the sturdy, rust-proof aluminum frame is sure to weather the seasons beautifully.